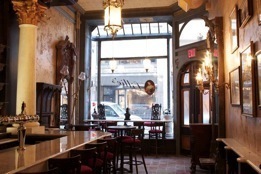 Join other Meetcha members at this NYC Irish-Victorian Bar and Restaurant with quite the history. Enjoy hearty Irish fare, appetizers, yummy bar menu, even hearty Irish breakfast (served all day). Appetizers start around $7.